Gold Rush OG Todd Hoffman announced back in February that he and his family would not be returning for the new season of Gold Rush, but it seems Todd’s retirement from the world of gold mining reality TV was short-lived as he has just announced he will be part of a brand new gold mining reality competition series! Todd and his ZÜM Media production company have teamed up with blue collar reality show production legends Thom Beers and Jeff Conroy (Deadliest Catch, Ice Road Truckers, Bering Sea Gold, Ax Men, Storage Wars, Monster Garage) and their new multi-platform production company BoBCat Studios to create Greenhorn Gold. 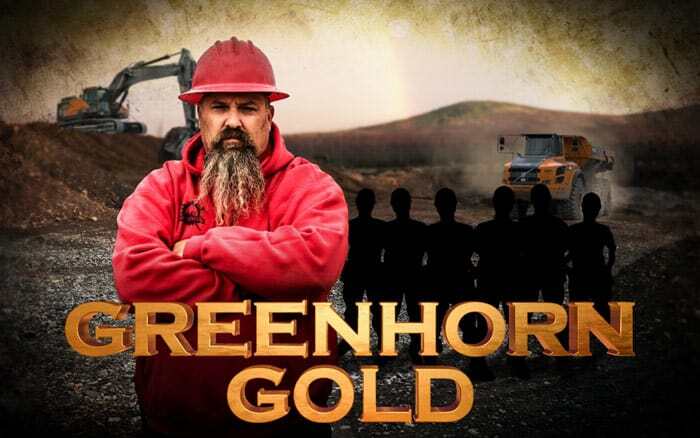 Tentatively titled Greenhorn Gold, the series will feature a cast of men and women from all walks of life as novice miners attempting to dig for gold in a blue collar, competition-style reality show. After a massive tryout, the greenhorn miners will be eliminated one-by one until only six remain at the end of the season. Those six will walk away with life-changing money in raw gold to take home to their families. In a surprise teaser twist, Todd also made it a point to not rule out a return to Gold Rush! ” He should Come back to GOLD RUSH!!! !” One commenter wrote. “Never say never,” Todd replied.